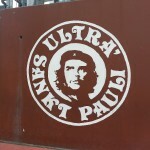 Home / Rebel Ultras Groups- Latest News / Europe / Gate 9 / Sankt Pauli, a different world! 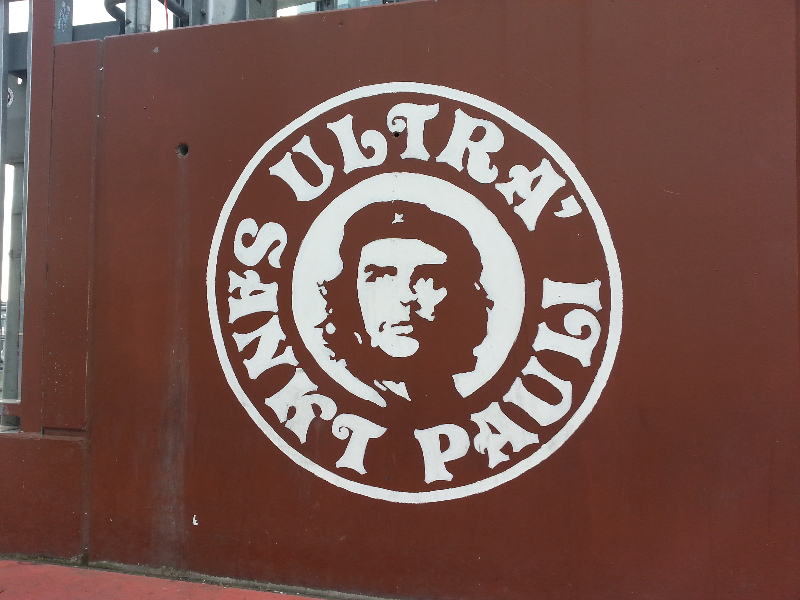 Sankt Pauli, a different world! The first talks were about 10 days earlier. 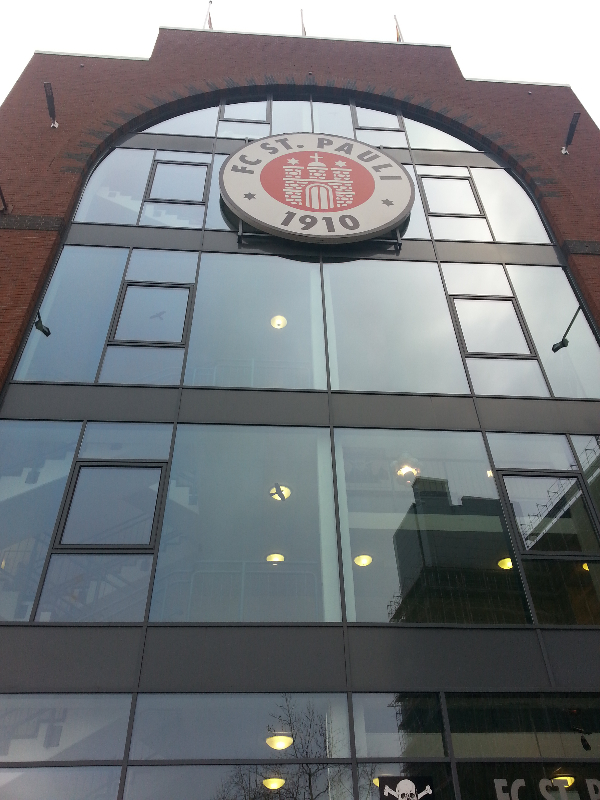 A home for the night, a ticket for the game and transport to Hamburg and back. So the day had come. Everything ready for the long trip from Heidelberg until the edge of Germany. 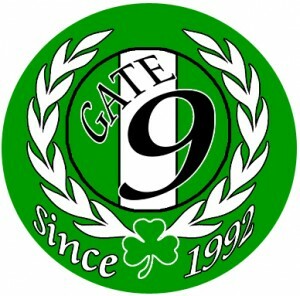 My bag is ready; scarves, GATE-9 hoodies, OMONOIA flags, everything. I arrive at the train station, my train leaves at 12:46. And so begins my journey. An hour later I’m joined by M***** and L*****, a couple from Wiesbaden, with who I’ll be travelling and spending the next one and a half days. It’s the first time meeting both of them, however only a few minutes were needed for the ice between us to break. Then begun M***** telling me stories from all his experiences and memories that he gathered from his trips to Cyprus until now, for all those brotherly friendships he had created and the games of our team (OMONOIA) he had watched, with his Cypriot brothers, as he calls them. Everything he says is accompanied from a wide smile, showing me how deep and strong relationships he created with some GATE-9 members and OMONOIA fans. After almost six hours, we reach the central railway station of Hamburg, while outside it was already dark. There awaits N**** who had just arrived from Saarland and we take the tram going to the district ‘Sankt Pauli’, where H***** lives; a friend who’s hosting us for the night, like he does every weekend, hosting brothers coming from other cities. Brothers and sisters from Cologne, Munich, Weinheim and other cities are there. We are increasing with time as more friends are arriving, and we get to know each other, although it seems to me that they all look familiar to me, it’s like seeing old friends and people I know. Meanwhile, M***** and L***** have prepared some traditional German dinner for all of us. 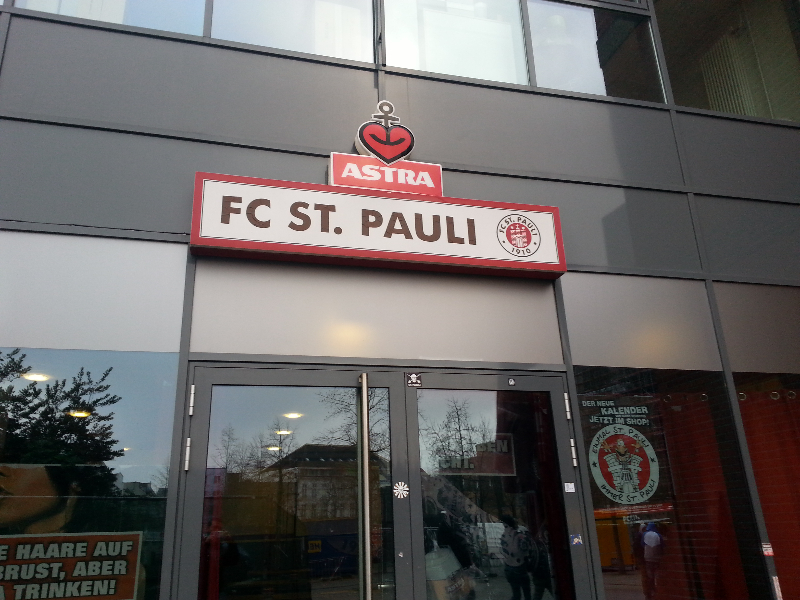 After eating the dinner we prepare ourselves for a night walk in Sankt Pauli. The temperature outside is close to zero degrees and we’re on the road around the neighborhoods of Hamburg. First stop is ‘Jolly Roger’, a local bar, something like a ‘fan club’ of the fans of F.C. 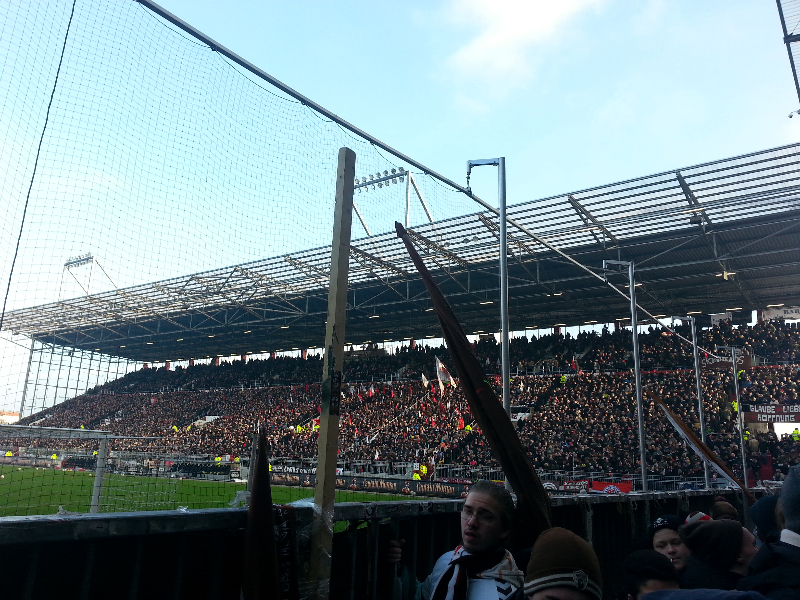 Sankt Pauli/ It’s full so we stay outside, where we drink the first beers of the night. 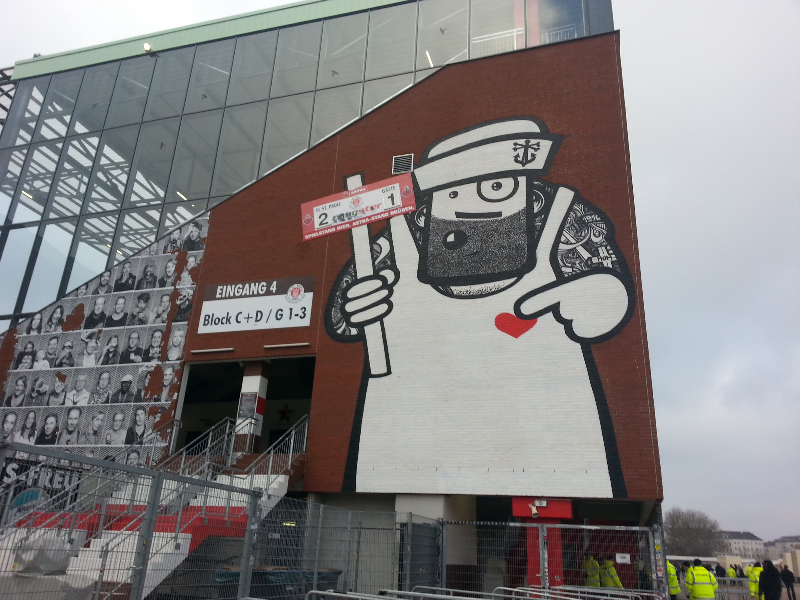 There, I meet one of the capos of the stand; he welcomes me to Hamburg and asks a few things about me, but also about the news with the ‘Fan Card’ (Tessera tel Tifoso) in Cyprus. He tells me to take a flag of OMONOIA at tomorrow’s game, so we can hang it in front of the stand. Since Jolly Roger was full; we go a bit further to another pub. 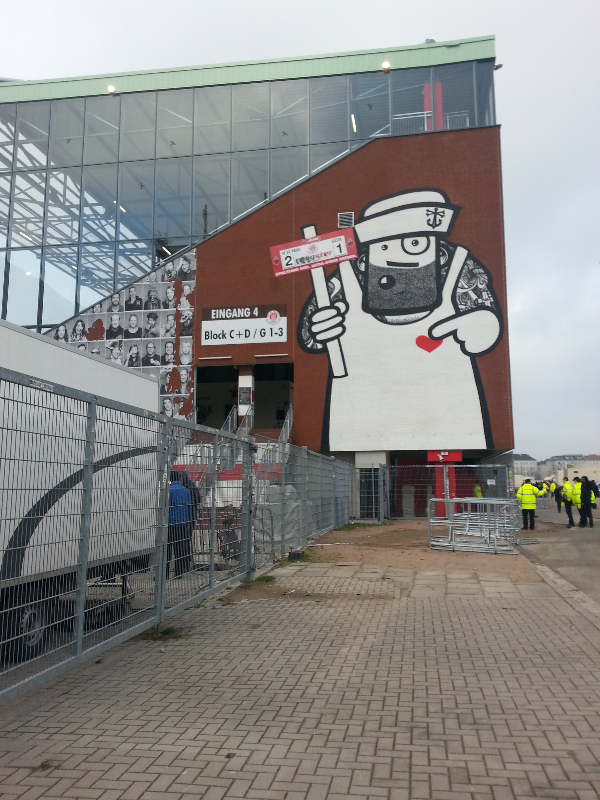 ‘Shebeen’ is approximately 500m further and it’s also full, so we stay outside where there is still a lot of people. Somewhere there, I notice someone passing by and wearing an OMONOIA FANATICS hoodie! I stopped him and explain who I was and that I come from Cyprus. He was already once in Cyprus to see OMONOIA. 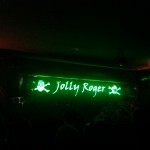 It’s freezing cold so M***** makes a call to see if there’s some space in Jolly Roger by now; the answer is positive. 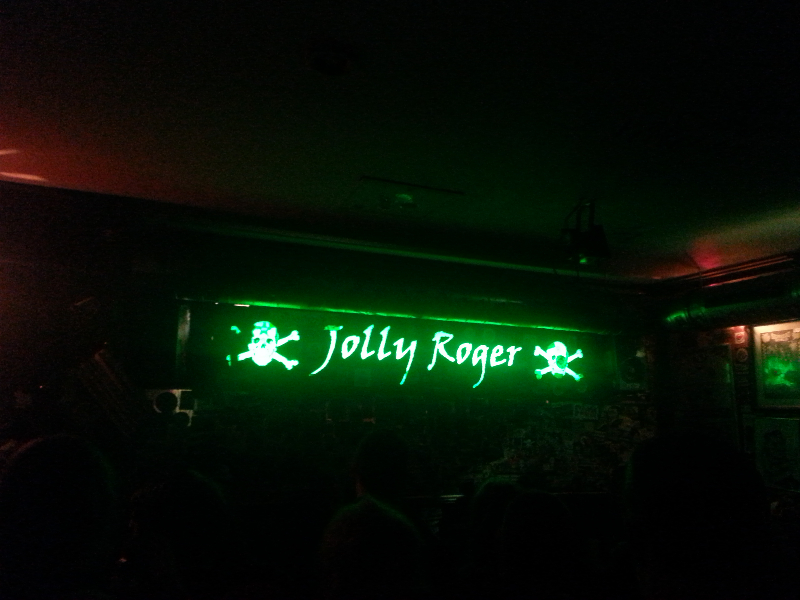 With the beers in our hands we return to Jolly Roger and we found some space in a corner. 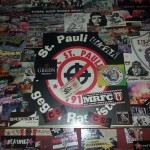 We talk for hours about the Ultras Sankt Pauli, Gate-9 and the recent problems of our teams, in a very friendly and brother-like spirit. 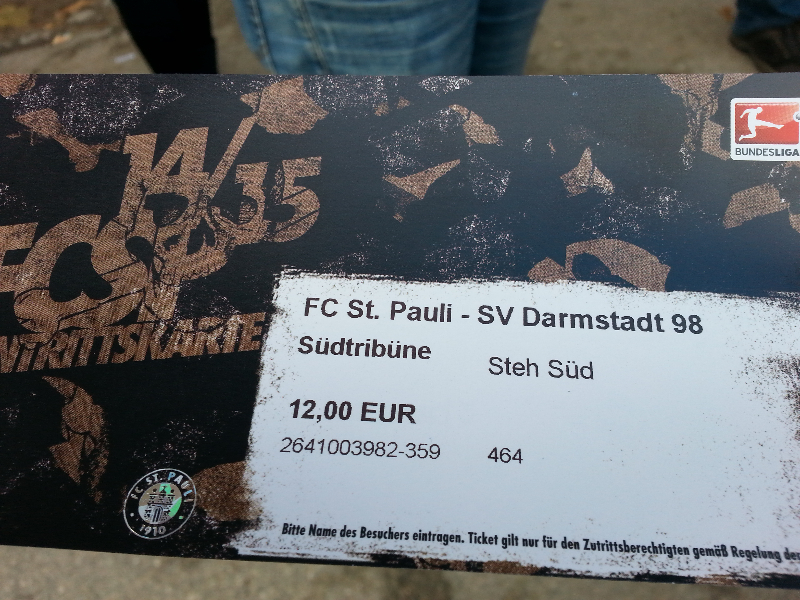 Everyone’s behavior makes me feel comfortable and welcome, as if I have been a part of Sankt Pauli for years. The beers come and go, and the barman already knows that he’s not accepting any money from me; not a single euro. ‘When we come to Cyprus you will pay for us’, they say and they insist on paying for me. It’s a great night with great hospitality. The tiredness from the trip started to show and at 4 a.m. we leave for home. While barely anything and no-one was moving outside around us, I have the chance to observe in bit more the detail around me. 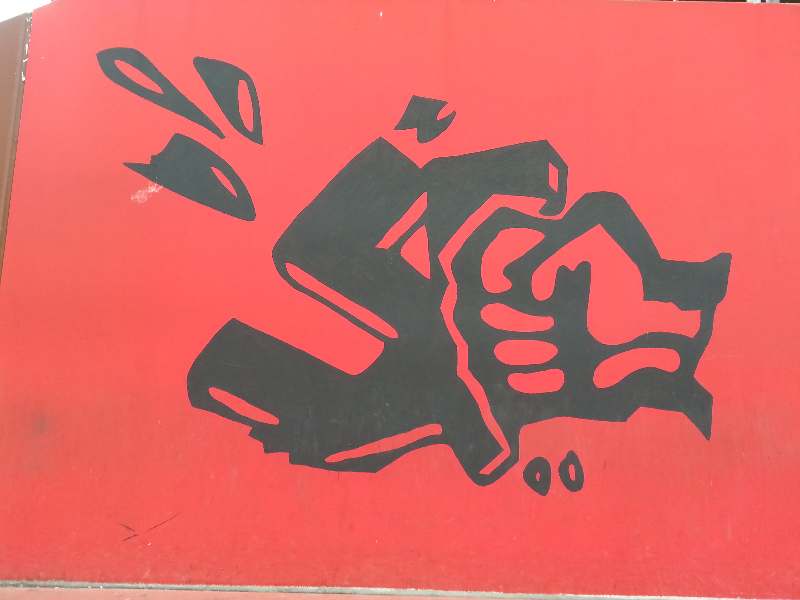 Within that 5-minute walk I see beautiful graffiti on the walls, antifascist, anti- capitalistic, anti-homophobic and many others. Paintings with deep meanings which depict chronic problems of mankind. A wild form of beauty comes out from the walls of Hamburg. 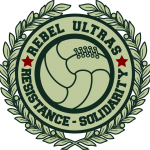 You see, not many will complain about spray-paints on the walls of their houses, since they themselves do not perceive this form of art as hooliganism. At 9 the alarm rings and we prepare to go to the stadium. Scarves, flags, everything is ready. The awaiting ends and the heart begins to beat faster. The big moment has come; the time for which I was waiting with such anxiety is now so near. 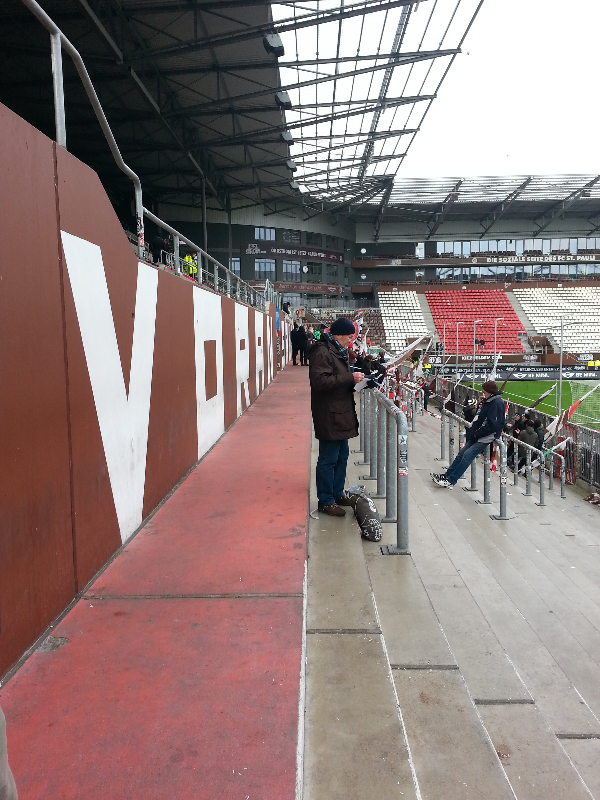 In a while I’ll be on the stands of the Millentor (Sankt Pauli stadium). And so we begin for the stadium, which is just 7-8 minutes away. As we arrive, I am stunned. 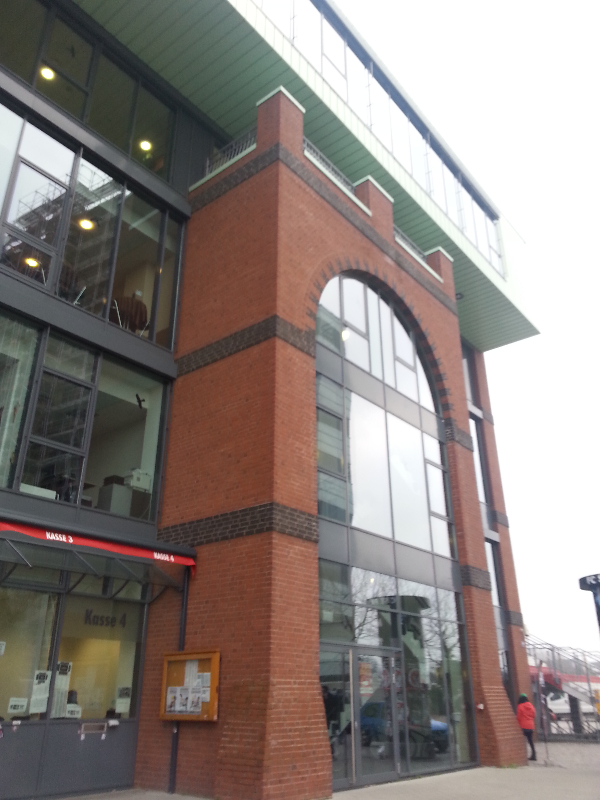 A ‘fortress’ in Hamburg, a spectacular build which is fortress-like around the edges. 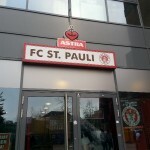 It hosts the games of Sankt Pauli, and not only the games. 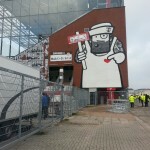 I say ‘not only’, because it hosts the Fan Shop of the team, a kindergarten and more! 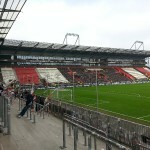 We moved towards the South Stand, the Süd Kurve as called in German, where the Ultras Sankt Pauli stand during the games. 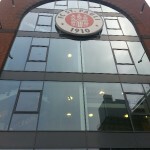 My heart was raging with anxiety as I was waiting to enter the stadium. The gates opened after a few minutes and we went in. 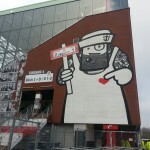 The walls inside and outside of the stand were also covered by wonderful graffiti art, giving life to the cold walls and depicting the values and mentalities of the fans of Sankt Pauli. 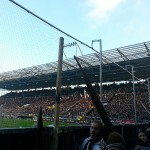 It is well know that Sankt Pauli fans relate themselves with many social issues and are a lively part of the supporters of human rights and equality. 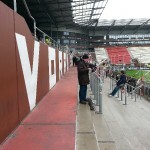 We went into the stand, in which the lower half consists of a concrete terrace the upper half has seats. I met the capo again and gave him the flag of OMONOIA for which he had asked the previous night and we moved to where we would be standing for the rest of the game. 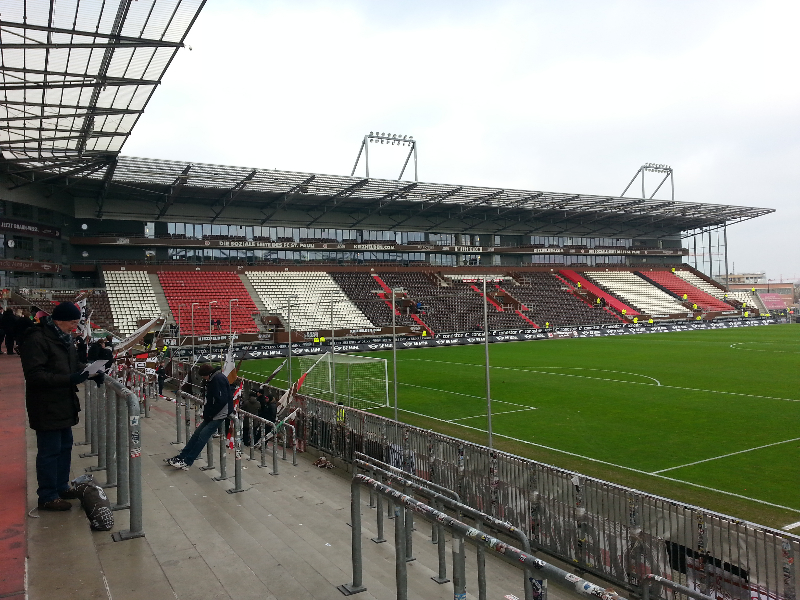 A while before the game started I took a look around me, since most of the fans were already there. I noticed that the most were between 25-30 years old, and even older, like 45-50 years old. A lady standing next to me looked older as 50! Under the age of 20 were only very few I suppose. That is something that you definitely to not find in Cyprus, where most fans are under 25 in the Ultras sector.The game begun and the tempo on the stand was fast and lively. The chants described the love towards the team and the will to win. The whole sector was moving up and down like a wave; all holding arms and moving as one, singing for the team. 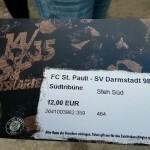 I thankfully had the privilege to know the German language, so I understood was being said in the chants. For 85 minutes, the stand was pushing the team, but at that point we conceded a goal. For a minute or so, nobody spoke. Heads down, cigarettes being lighted, eyes closed… everyone was expecting that the support would bring a goal for the team. The capos gave the spark again though and the stand was singing even louder for the remaining time, but the game ended 0-1 for the visitors. We said goodbye to some friends and left for home. The disappointment for the game and the recent image of the team and the fatigue of the journey was clear, and didn’t allow us speak much on the way home. 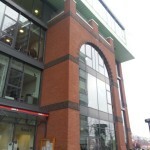 We rested for a few hours, thanked H***** for the hospitality and left for the train station. M***** and L***** would take the train and I would take the bus. I told them goodbye and gave them the flag of OMONOIA which I had brought, as a very small piece of gratitude for all they had done for me to make this trip so great and unique experience. My bus was leaving at 19:45. An eight hour trip until Heidelberg, but yet I could not sleep. In my mind was everything I had lived in the past one and a half days. 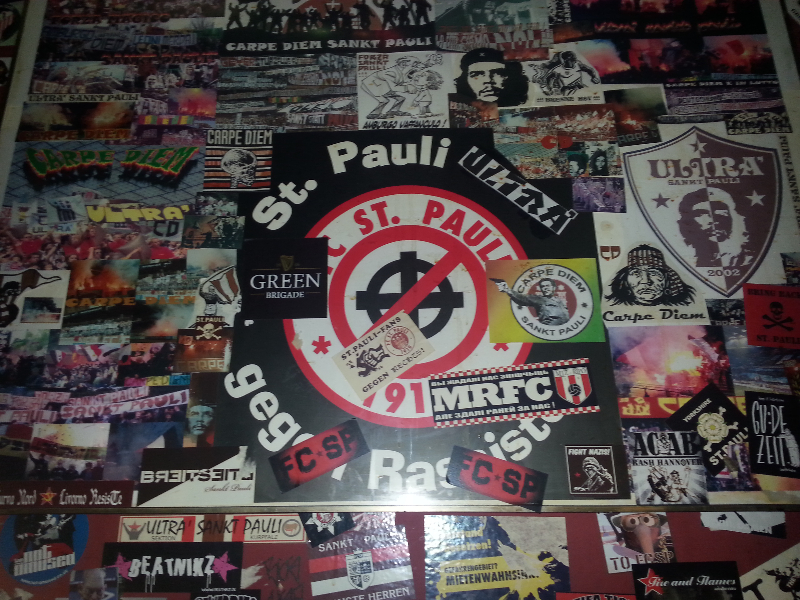 My emotions from the stadium, the sprays on the walls, the people I met, but above all, this amazing culture which I lived in this corner of Hamburg, Sankt Pauli. I saw a different mentality, very different in comparison with Cyprus. All those neighborhoods, the entire stadium, all those people looked to me as a giant family. They cared so much for on another. All so warm and nice –something that we are Cypriots do not expect from Germans, as southern Europeans perceive them to be a ‘reserved’ race of people- but we are totally wrong! 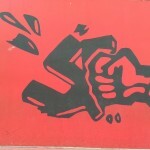 The fight for the antifascist ideologies, they are proud for them and they give a lot of importance to education and awareness. They accept everyone as if he/she is one of them. A world free of prejudices and old-time homophobic trends, and anything that pulls us back or separates us from our fellow human. With all these on my mind, and a sack full of memories and unforgettable moments, I reach Heidelberg after 8 hours, with the next trip to Hamburg already being planned in my mind. Hope you enjoyed it brothers and sisters! Omonoia 1948: They didn’t begin, they’re continuing! The Cypriot “Tessera” – SHALL NOT PASS! Everything is Magical; is it really?! ?